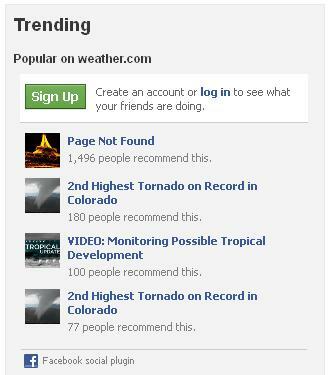 "I've always wondered if people pay attention to the errors their computers produce," pondered William Walsh, "Empirical evidence would suggest not, though apparently the opposite is true over at The Weather Channel's web site!" "I got this wonderful error message when trying to select a date to begin deferment on his wife's student loans," reports Chris Deehan, "I'm not waiting that long, that's for sure." Josh Shields clicked the third option as he has trouble resisting Dunkin Donuts. "I found a new option when I tried to delete a table from an ERD in MySQL Workbench," noted Andrew N., "As an added feature, Keep actually deletes the table." 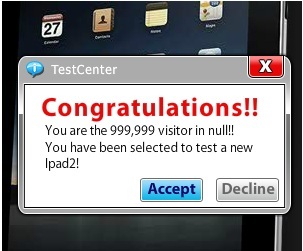 Mike wrote, "Being the 999,999th visitor out of null makes me feel so special, and I get an IPad 2!" "Our data center is about 30% virtual, 70% physical, and 0% something else. Which one do I pick?" asked Russell Shilling. 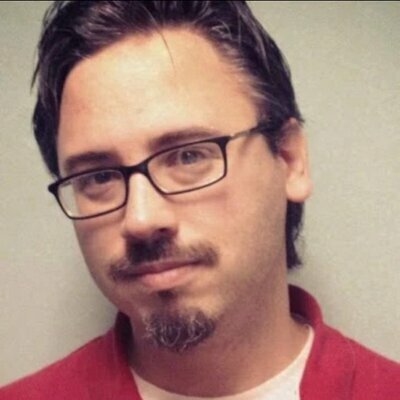 Jason Cook should probably go get a coffee or something. "After spending 30 minutes politely filling in the complaint form to see this result, I'm left wondering how I complain the complaint form isn't working?" complained Shaun Forsyth. Any decent data center is at least 50% ethereal. Here at Dunkin Donuts we are using the latest technology, known as the anti-captcha. We've observed that computers are now getting smart enough to answer the simple questions. However if you tell a human "click 3 for no apparent stupid reason" they'll go "screw that, I'm clicking 2 just to mess with you" and thus we know we've got a human. Yeah, these "quality" questions are pretty standard in the survey business. It is a cheap way to ensure that the answers were not filled randomly. I'd say we reject about 5% of the responses we receive based on questions like this. "Page not found. Nyah nyah!" "Your loan enters repayment on 12/31/9999. The deferment begin date that you are selecting cannot be prior to that date. Please enter a date that is on or after 12/31/9999. Which means you just can't have a deferment! Nyah nyah!" System: "For data quality purposes, please select 3." User: "Just to be contrary, I will click 2. Nyah nyah!" 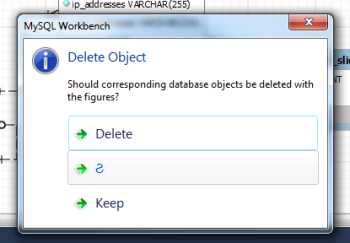 Should corresponding database objects be deleted with the figures? Guess which button keeps them: Nyah nyah!" "Congratulations!! You are the 999,999 visitor in...I'm not telling you where...Nyah nyah!" "What percentage of your data center is virtual, physical, both? You'll never give the correct answer here. Nyah nyah!" "Synchronizing with server, and I'm not ever finishing! Nyah nyah!" "We're just not taking complaints, so there! Nyah nyah!"